Martin O’Malley, treasured buffer of the Democratic primary contest, will reportedly join Clinton and Sanders in Sunday’s debate because honestly, it wouldn’t be the same without Martin! 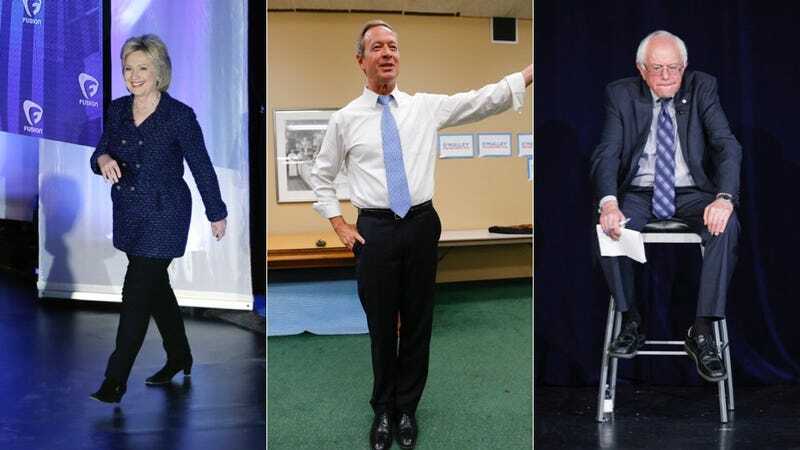 According to The Hill, the criteria for the January 17 debate requires candidates to be polling at an average of at least 5 percent, but it would appear NBC has rounded up; O’Malley, who is at 2.4 percent nationally, polled at 4.6 percent in the five most recent accepted Iowa polls. For comparison’s sake, Clinton is currently polling at 42 percent in Iowa; Sanders at 40. But really, Martin O’Malley is the third leg of this wobbly stool we call “civilized debate,” and without him awkwardly negging the moderators, freaking out about gun control, and going on and on and on about how he was the mayor of Baltimore, things could get real in a way that no one is remotely ready for. Martin O’Malley is the classmate you and your BFF gang up on on the school bus to distract yourselves from the underlying issues destroying your friendship. Martin O’Malley is the friend you drag with you on a third date because you’re not ready to go all the way yet. Martin O’Malley is the neighbor you invite over to dinner because mom and dad are nicer to each other when guests are around. Martin O’Malley is the person you invite last-minute to your birthday brunch because the table sits 10 and you only have nine and you want it to look crowded and fun on Instagram. Sunday’s debate, featuring Hillary Clinton, Bernie Sanders, and a smiling hunk of styrofoam insulation, will air at 9 PM on NBC.